She’s no monster but surely can dash. After running around the store all day, up and down ladders hanging pictures, constantly arranging and rearranging furniture for vinettes and displays, it was off to serious running along the Mississippi River almost every evening after a full day’s work. Today was the test of all her dedicated training. At mile post 8 Megan gracefully sailed past us with her beautiful smile in what appeared to be just another lovely Minnesota crisp fall morning walk in the park, not a gruling marathon run. We are so proud of Megan, a real winner. 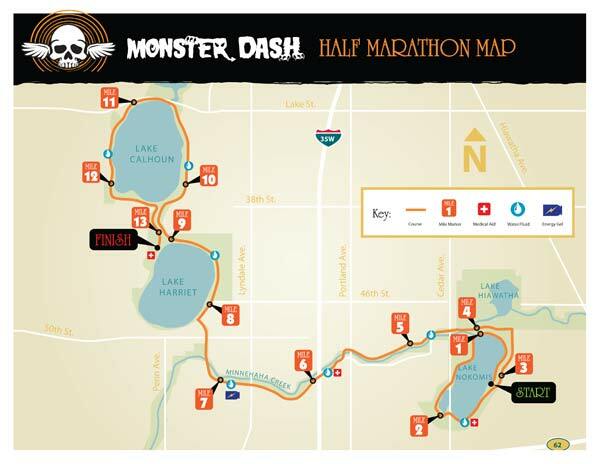 The Monster Dash is one of four big races sponsered by Team Ortho each quarter to raise money for research. Every year Team Ortho donates money to the Shriner’s Hospital, the Orthopaedic Trauma Association and the Minneapolis Medical Research Foundation. All of which have received a portion of nearly $90,000 over the last three years. These high-quality races throughout the year to keep people active.” Staying active is one of the best defenses against orthopaedic injuries, to areas like knees, hips, and the spine. Exercise increases or maintains your bone density; as a result you may be able to better avoid injury in the future. Earn some “bones” in the race Volunteer Incentive Program. 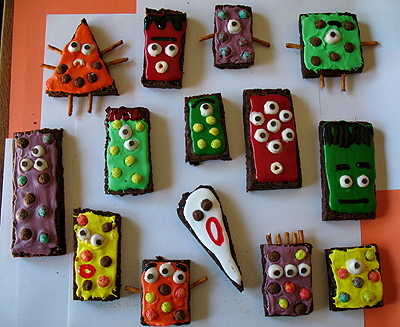 Dash to the kitchen and make monster brownies. 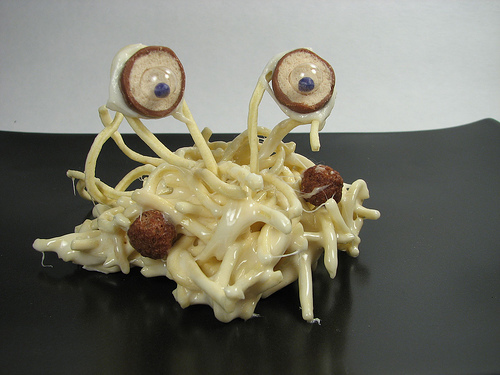 You’ll need a laboratory to create these tasty monsters with edible googly eyes. 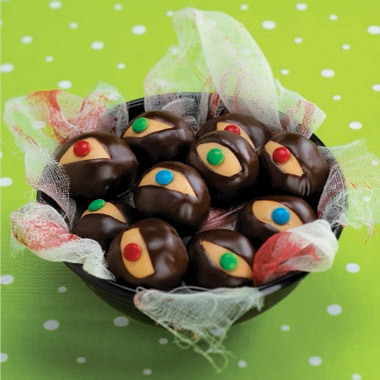 Make and shake these with the litle monsters in your life. What goes “Ha-ha-ha . . . THUD!” A monster laughing his head off!